In our globalizing world of today, the significance, status and demand of languages are experiencing changes which are unmatched in human history. These changes also relate to the languages of Japan as well as to the way that they are being taught and studied. 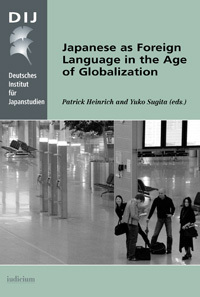 In this book 14 authors from four continents present their research results on Japanese as foreign language (JFL) in the age of globalization. The participation of these authors reflects the fact that research into JFL has itself become global. Since JFL in the age of globalization is a field too extensive to be comprehensively covered by a single book, we restricted ourselves to three topics which we believe are central in discussing this issue. Japanese as Foreign Language in European universities – new students and/or new teaching paradigm?